Call us at our Shanghai Head Quarter. Visit us, only by appointment please. For international calls from Europe or Americas, please take into account Time Difference (in China, we are at UTC / GMT +8 hours). When using our Time converter flags below, please refresh your browser. Map of Shanghai subway, indicating Jiangsu Lu Subway station. 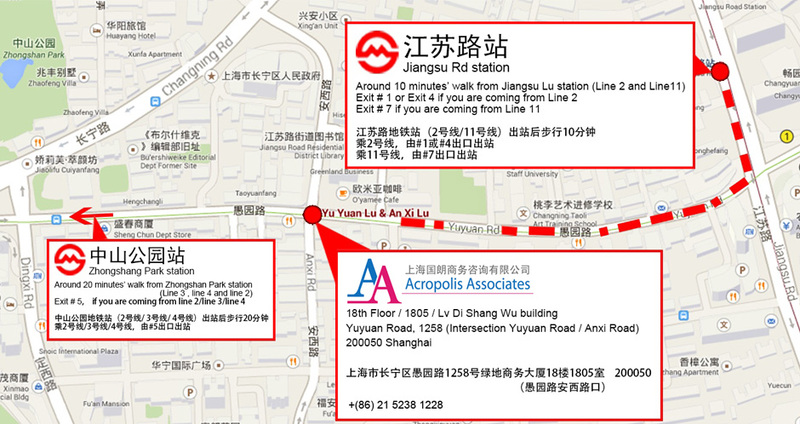 For any inquiry, please contact our Shanghai head quarter. All Asian and worldwide assignments are handled from Shanghai.